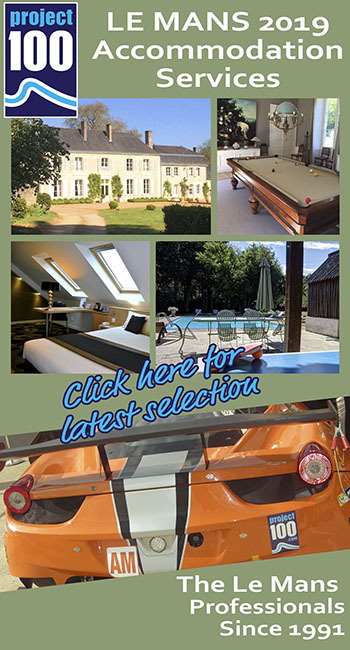 The start of the final qualifying session for the 2018 Le Mans 24 Hours was brought forward after the truncation of the previous session. That extra 30 minutes would prove to be the ‘happy hour’ for this year’s qualifying session, with many drivers dropping their times in that window. The best track conditions came before light drizzle started to fall roughly an hour into the session. The rain intensified sufficiently for Race Control to declare conditions officially “wet”, but it never covered the entire track and while it deprived teams of meaningful times in the later stages, it still permitted useful lapping that allowed teams to work on set-up, given predictions of at least some rain over the weekend ahead. As an example, the Toyotas continued to lap right through to the flag, but some 30 seconds off their ultimate pace. 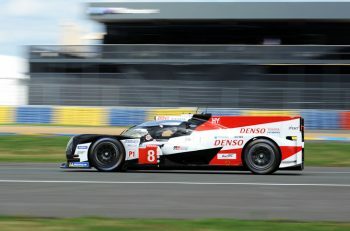 When the second session began 9:30pm, Kazuki Nakajima had the #8 Toyota TS050 Hybrid flying around the track, bettering the pace from the first qualifying session. The Japanese driver’s time of 3:15.377 was almost two-seconds quicker than the previous best (although still well shy of last year’s 3:14.791). 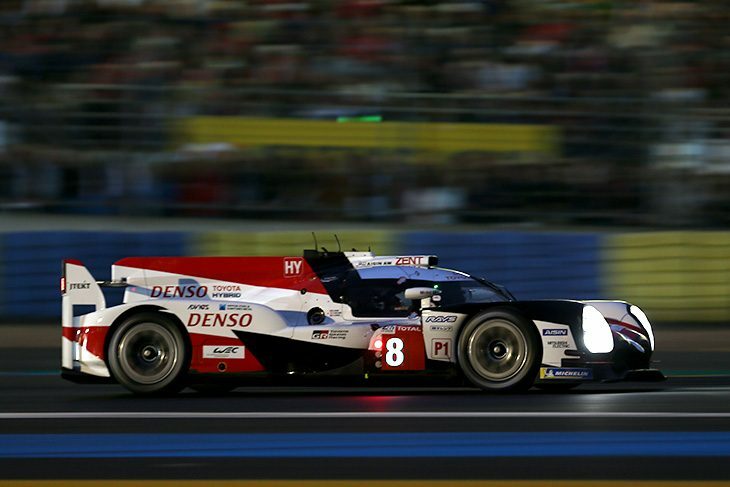 It was an all Japanese affair at the front as Kamui Kobyashi in the #7 Toyota TS050 Hybrid went precisely two-seconds slower than his team-mate with a lap of 3:17.377. Then came the two Rebellions, and the #17 SMP Racing BR1. Thomas Laurent in the #3 Rebellion R13 had closed within one-second of the slower of the Toyotas, setting a lap time of 3:18.252. However, the time was later amongst several to be deleted after teams missed various requests for random scrutineering. That reduced the Rebellion’s best time to the 3:19.945 set on Wednesday, and fifth in class. This promoted the #1 Rebellion R13 to third, with Bruno Senna setting the car’s quickest lap of 3;19.449. It was a tough session for the SMP Racing team. The #17 SMP Racing BR1 was delayed in leaving the pits after the team was forced to correct an issue in the engine bay. As a result of this mechanical issue, and missing the ideal track conditions, they were unable to improve the time and will line up fourth. The sister #11 SMP Racing BR1 never make it out of the garage. The team identified a sensor issue in the gearbox and, despite the best efforts of the mechanics, it spent the session in the garage. The team is confident of sorting the issue in time for the race. The drivers in the #10 Dragonspeed BR Engineering BR1 were not able to improve on their Wednesday time, and remained on 3:21.110. However, they were able to complete 14 laps during the session, important given their issues the evening before. The ByKolles team with the #4 ENSO CLM P1/01 spent much of the session in the garage with an exhaust problem. Though the team was able to run the new part and complete four laps, there was no improvement in time. Finally, the CEFC TRSM Racing Ginetta G60-LT P1 cars were both able to turn a number of laps and get their drivers’ night laps completed. 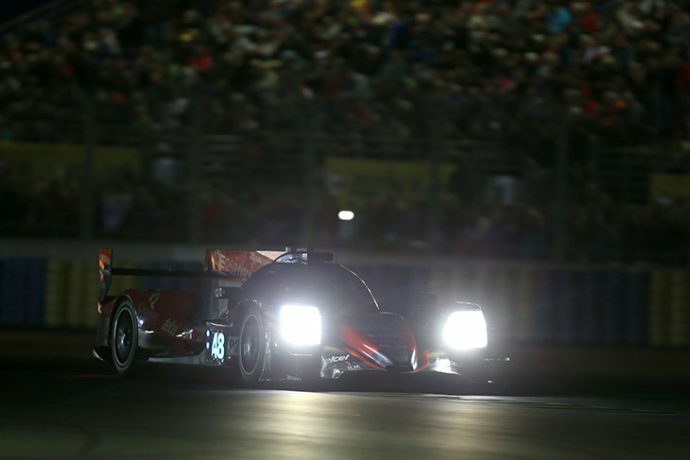 Significant improvements in times also placed both cars on the end of the LMP1 field. The #6 Ginetta led the #5 car with a time of 3:23.757, compared to 3:25.268 after the cancelled laps were applied. 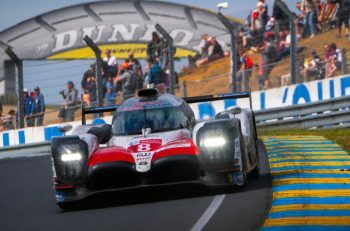 It was pole for the #48 IDEC Sport ORECA 07, which benefitted from a cancelled time for the #28 TDS Racing ORECA, another team to suffer a penalty for missing the “come hither” light from the scrutineers at pit-entry. The opening laps of the session proved to be a golden time for LMP2, with many cars improving on their times from First Qualifying. 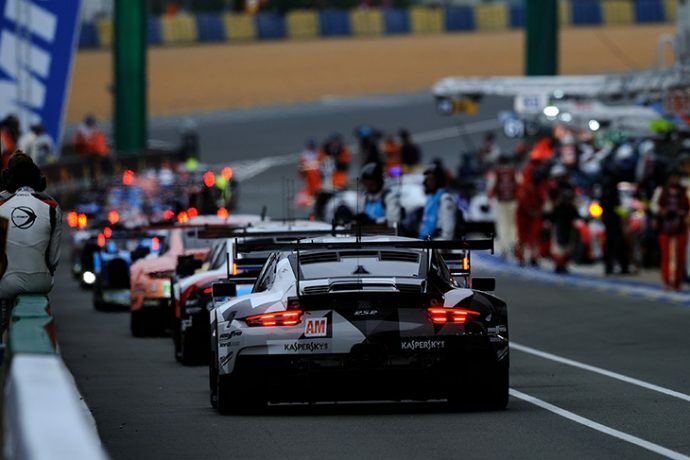 The times at the top had proven to be close before the application of penalties, with the #28 TDS Racing and Loic Duval setting a time of 3:24.816 just 0.026 ahead of the #48 IDEC Sport of Paul-Loup Chatin, and this a further 0.041 to the #31 Dragonspeed of Nathaniel Berthon. 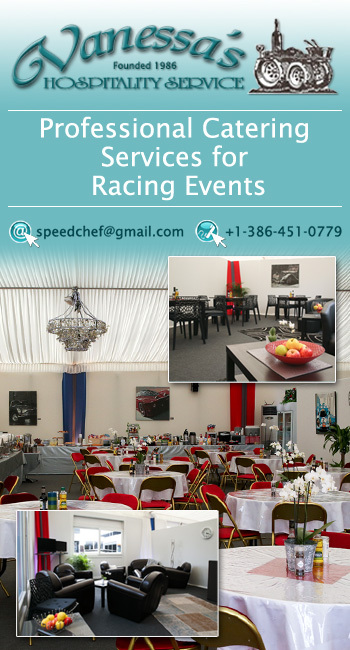 For TDS Racing the time was disallowed after failing to stop for the scrutineers light to be weighed, promoting the IDEC to pole and Dragonspeed to second. Third on the grid was Jean-Eric Vergne who, in the #26 G-Drive Oreca 07 was 0.277 off the pace with a time of 3:25.160. This left TDS Racing in fourth. The first Liger was that of the #23 Panis Barthez Competition team with Will Stevens setting the time 3:25.376 – some 2.7 seconds quicker than the other qualifying sessions. After the sizeable crash of #47 Dallara of Cetilar Villobra Corse in qualifying two, the car did not come out for qualifying. The quickest Dallara was that of #29 Racing Team Nederland who set a time of 3:28.111 and will line up 13th in class. Of the tyre manufacturers, Michelin took the first two spots ahead of two Dunlop runners. While most runners in the class did not venture out for too many laps in the rain, there were a few incidents during the session. Most notably, Stéphane Richelmi spun the #38 Jackie Chan DC Racing ORECA into the gravel in the first sequence of corners and had to get lifted out. After having its suspension repaired following qualifying two, the #36 Signatech Alpine was unable to improve their time but Pierre Thiriet did experience snap oversteer at Arnage to spin the car into the gravel. Harrison Newey in the #35 SMP Dallara had a puncture early on in the session but was able to bring the car back to the pits. A number of other penalties were handed out including the #39 Graff (Tristian Gommendy) for failing to stop at the weighbridge and IDEC Sport (Paul Lafargue) and the #33 Jackie Chan DC (David Cheng) for speeding in a slow zone. Bringing forward the start of the final session gave everyone an extra half hour of daylight to make good their times at the start of the final session of qualifying. The speculation had been for early rain, but that threat seemed to have abated, and it soon became apparent that faster times were not only possible, but there for the taking. A 3:15.377 from Nakajima in the #8 Toyota TS050 proved that there was scope for improvement, and that extended throughout the GTE field. Five minutes into the new session, and blue times were appearing widely across the timing screens, not only with overall improvements, but sectors too. The #91 Porsche certainly wasted no time, with Fred Makowiecki keen to get more laps under the ‘cigarette’ liveried car. Having been in the unusual position of holding provisional pole with under two qualifying laps to claim it, Fred was keen to add some mileage to the car, as well as fulfil the trio’s lapping requirements. Alessandro Pier Guidi quickly set about posting a 3:49.494 for AF Corse, the #51 car moving into fourth. Sam Bird replied from the other side of the AF Corse garage with a 3:50.246, this good enough for ninth, the Ferraris now showing more relative pace. In GTE Am the long-promised improvement from the #86 Gulf Porsche arrived in the hands of Ben Barker, who’d demonstrated impressive pace for the pale blue and orange 911 in Free Practice. 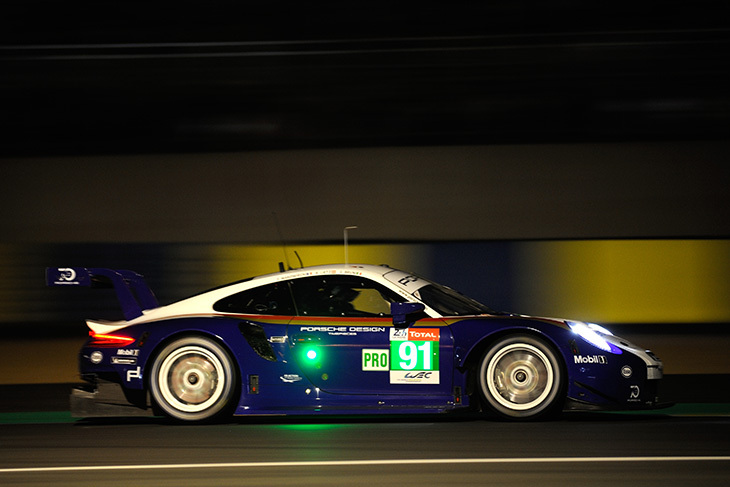 His improved time of 3:51.391 slotted the Porsche in between the Dempsey Protons to move to within half a second of the #88 on provisional pole, the dark grey car’s time of 3:50.728 set on Wednesday night. Not far adrift, the #54 Spirit of Race Ferrari crept into fourth behind the deposed #77 Dempsey Proton Porsche. Things got worse, albeit only technically, for the #77, when notification came through towards the end of the session that all times set this evening prior to about ten o’clock were to be deleted for “not stopping at the scrutineering light”, and a fine of 1000€ imposed. Others to suffer the same fate included the #54 Spirit of Race Ferrari and several LMP cars, although not all incurred the fine. In most cases this had no impact on standings, as the faster times were either set on Wednesday, or subsequently. 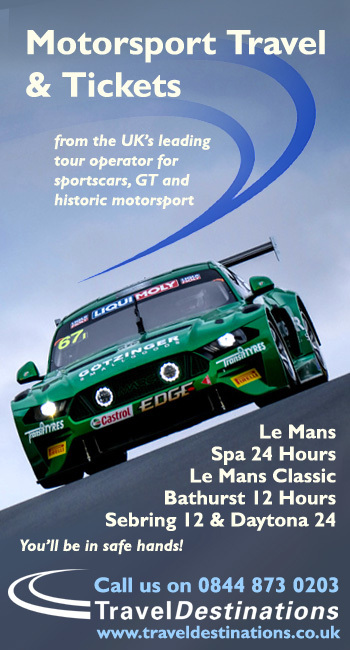 Euan Hankey was aboard the TF Sport Aston Martin at this stage, and hauled the Vantage up into sixth behind Jorg Bergmeister’s improving Project 1 Porsche. In similar fashion Ebimotors had also lifted their 911 RSR off the bottom of the time sheets, respectably tucked in three-tenths behind the Aston Martin. Aside from Bruni’s blistering pole lap it was worth considering that despite no change in order at the top of GTE-Pro, the rest of the field was covered by just two seconds. Aston Martin was the exception to this, and although the cars had started to improve their times, these were not enough to make any realistic impression on their provisional standing at the back row of the Pro grid. Moreover, their times in the 3:52s and 3:53s were being smothered by a significant proportion of the Am field. Having seen the debut earlier of the new GT3 and GT4 Astons, it’s clear where AMR is currently focused. Also pushing was Kevin Estre in the #92 Pink Pig Porsche GTE Pro, a 3:49.097 coming just ahead of a potentially-serious off on the entry to the Porsche Curves. Admitting to “driver error”, Estre escaped with just a gravelly excursion before bringing the popular piggy back to the pits for a check-over. Though setting times previously unseen, the Porsches were not overly convincing on the limit., and appeared to pose quite a handful. Nearing ten o’clock, and what would have been the scheduled beginning for this final session, the Clearwater Ferrari #61 went straight on in the left-hander element at Indianapolis, nosing uncharacteristically into the tyres and promoting a fresh slow-zone while the Matt Griffin was Manitou-extracted. The new system now sees cars lifted bodily clear of gravel (or, as in Griffin’s case, an awkward manoeuvring position) using the roof-mounted lifting eyes rather than dragged horizontally. The consequence is reduced potential for damage to the cars themselves, and less gravel distributed across the track when they rejoin. Minutes later and it was the regularly-troubled #67 Ford GT that was back in the wars again; Tony Kanaan getting out of shape at the exit of the Forest Esses. He looked to have got the skittering red and blue car back under control, but then clipped the right-rear of the GT before regaining the track. He barely missed a beat, though, and was quickly back to the pits, although the crew would already have been bemoaning the need to carry out yet more bodywork repairs to the Ford. Heading closer towards eleven, the long-awaited rain finally arrived. It wasn’t the torrential downpour we’d seen during scrutineering – no thunder, no rivulets cascading into gulleys – but a light drizzle that was still enough to take the edge off what remained of the session. Undeterred by the light rain, Antonio Garcia improved the #63 Corvette’s position with a 3:50.400 to edge towards the top ten. The Spaniard took another two-tenths off this on his next lap to knock the #51 Ferrari off ninth in GTE Pro, just before the race director declared the session fully wet. Garcia was the exception to the rule, and lap-times from most others became significantly slower than before, typically ten or fifteen seconds off the pace. Into the last hour and the outlook seemed rather more routine, until the pole-sitting #88 GTE Am Dempsey Proton Porsche was reported as stopped at Mulsanne Corner after heavy rain had arrived on that far side of the circuit. So the rain forecast for the session arrived more or less as predicted, but the extra 30 minutes at the start offered a generous window for teams to improve their starting positions. The times set by the Porsches heading yesterday’s qualifying session seemed unassailable in both classes, however, and although the earlier period was spirited (and not without incident! ), teams seemed more focused on bedding in drivers and finding race set-ups than pushing hard and risking the consequences. The net result is a dominant performance in both GTE classes for Porsche, with a front-row lock-out in GTE Pro by the factory pair of #91 (Lietz, Bruni, Makowiecki) and #92 (Christensen, Estre, Vanthoor), the pole time of 3:47.504 being a second and a half quicker than the best of the Fords. That was the #66 (Mücke, Pla, Johnson), claiming third ahead of the #51 fourth and the #68 fifth. With the remaining factory Porsches and a Ford in sixth through eighth, the best of the rest was Garcia’s 3:50.242 that secured ninth for the #63 Corvette, with the #71 AF Corse Ferrari F488 rounding off the top-ten. Significantly, the twelve quickest in GTE-Pro all bettered last year’s pole time, and setting aside the #91, not much more than a second separated them all. It will be a close-run thing in GTE-Pro, that’s for certain. Although the pole time for the #88 Dempsey Proton Porsche (Cairoli, Al Qubaisi, Roda) of 3:50.728 was a generous half a second clear of the second-placed Gulf Racing #86 (Wainwright, Barker, Davison), the rest of the qualifying picture was more broadly brushed in GTE-Am. Again Porsche dominated, with the second Dempsey 911 RSR (the #77 of Campbell, Ried & Andlauer) another half-second off pole, but pushed very close indeed by the Spirit of Race Ferrari, #54. Only these four out-paced last year’s class pole time (3:52.843), and there was a mixed bag of marques, spread across several seconds, through the leading ten in Am. In previous years GTE has often produced some of the closest racing in the Le Mans 24 Hours, and 2018 looks set to follow that trend. On pace alone, there’s little to choose between the leading group in GTE-Pro, and reliability, pit strategy and a clean sheet by each trio of drivers is the likely key to success. Looking at their performance this evening, it seems hard to credit that Aston Martin won the class only 12 months ago, with a truly thrilling battle to the flag between the #97 Vantage, the #67 Ford Chip Ganassi GT and the #63 works Corvette. A repeat in 2018 looks a very tall order, and both classes seem Porsche’s to lose.